Leviticus (Vayikra) is a God-infused book. The kohanim (priests) direct the cultic service of God, who resides at the center of the camp. The divine sanctuary is the focal point of the Israelite society, whose sacred status must be safeguarded from regular human contact with life and death. And yet, God is largely absent — in an immediate sense — from the book. God is impersonal and removed, in whose presence the only proper response is silence. No one, not even Moses, speaks to God in Leviticus, although God speaks to humans. The high priest, who gains access to the holiest depths of the sanctuary on the holiest day of the year, does not even confront God directly. In Leviticus, the average person achieves forgiveness just by performing the required ritual acts. Atonement does not depend on the will of God. Contrast this divine detachment with the intimate portrait of God which emerges in the Midrash on Leviticus, chapter 12, Parshat Tazria. In response to the opening verse, “When a woman conceives and bears a male child,” Vayikra Rabbah highlights the missing character in that verse: God. Throughout the Bible, God is explicitly present and involved in human beings’ birth. How many stories in Genesis alone revolve around God’s hand in bringing children into the world? In its plain sense, God does not belong in Tazria, for the verse introduces purity legislation for a postpartum woman — the sole subject of the verse! And yet, the rabbis of Vayikra Rabbah respond to God’s absence in Leviticus 12:1 by rewriting the verse, in a manner of speaking, and bringing God into a front and center position. In the hands of the Midrash, Vayikra 12:1 contains within it a story of God as the personal, providential caretaker of each human being. From the earliest stage of life as “the whitest drop,” God provides for each person’s needs, removing all obstacles in the path of a healthy birth. By focusing on the fetus, the rabbis frame the relationship between God and each human being as always already present, even as the person himself is still in formation. In the Midrash, God’s involvement is exquisitely intimate. In one passage, a baby is compared to a prisoner, residing all alone in the dark. God features as a kind stranger, who shows up to light a candle, to provide warmth, comfort and companionship. In another, God is likened to a wonderful friend, who unexpectedly presents an astounding return on an investment — from a white drop to a fully formed human being! All of God’s kindness and protection is imagined within that impossibly small space — the womb — drawing God into the personal universe of each and every human being. God is man’s companion, friend, nurturer, parent, and caregiver. In Vayikra, God resides in the details of the cult. Drawing from the verses, the Midrash invites its readers to feel God more intimately in their lives. Rather than focus in Leviticus 12 on the mother and her postpartum rituals — which we can no longer perform — the Midrash directs us to our common origin as a fetus. This is more than a recovery effort to retrieve meaning from otherwise stale verses. The Midrash radically expands the reach of the biblical section for all. Not all of us will be mothers — the direct addressee of the verses. But we have all been that fetus, enclosed within our mothers’ bodies — while enjoying, quite on our own, a unique and budding relationship with our Creator. Without help, we cannot recall that time in our lives; it is embedded too deeply in our early memories. 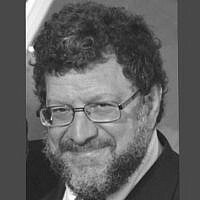 Through the bold moves of the Midrash, the Torah verses can lead us back to that early site. If we allow it, those recovered memories can catalyze even deeper closeness and intimacy — preparing us to be attentive and open to finding God in hard to reach places, as we move throughout our lives. This post is an expansion on “Godless Rituals,” written for the 929-English project. Dr. Tammy Jacobowitz is the chair of the Tanakh department at the SAR High School in Riverdale, NY, and is the founding director of Makom Ba'Siach at SAR, an immersive adult education program for parents. She has taught Bible for the Wexner Heritage program, and she is also an adjunct faculty member of Yeshivat Chovevei Torah, where she teaches the Pedagogy of Tanakh. 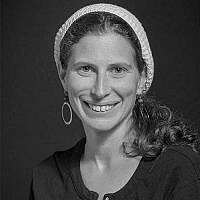 Tammy received her BA in English Literature from the University of Pennsylvania, is a graduate of the Drisha Institute's Scholars Circle, and completed her PhD in Midrash at the University of Pennsylania in 2010 as a Wexner Graduate fellow. Dr. Jacobowitz is currently at work on a parsha book, geared towards parents reading to young children. She lives in Teaneck, NJ, with her husband, Ronnie Perelis, and their four children.